Sing carols, twirl on ice, enjoy spectacular festive displays and get into the spirit of the season. 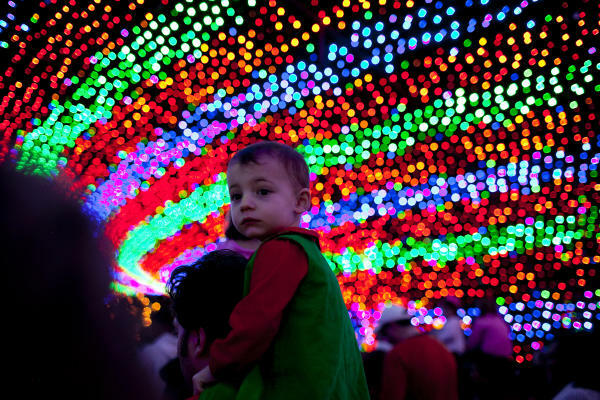 We have your top tips for exploring Austin with your kids during the holiday season. 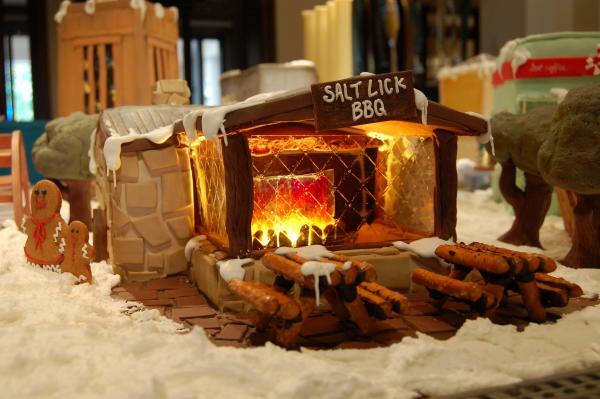 Salt Lick BBQ Gingerbread House. Courtesy of Four Seasons Hotel Austin. Families can visit Santa in many spots in Austin, but some of our favorites are on the City Terrace at the Long Center on November 24; “beneath the tree” at the Domain throughout the season; at the Four Seasons Hotel Austin during their Gingerbread Village Open House, December 4-5; at the Caswell House on December 10; and on the North Pole Flyer, run by the Austin Steam Train Association (reserve tickets in advance). Courtesy of the Austin Trail of Lights Foundation. The Austin Trail of Lights, December 9-23, in Zilker Park is truly an Austin tradition. Head to the Lady Bird Johnson Wildflower Center on December 7-10 and stroll through the gardens decked out in holiday lights during Luminations, where holiday music and free taffy add to the festivities. Winter Wonderland at the Circuit is a bright new holiday festival featuring a 0.8-mile circuit of lights, skating rink, Santa’s Village, carnival rides, tunnel of lights, trips to the top of the North Pole, musical stages and more. At Mozart’s Coffee Roasters on Lake Austin, sip on a steaming cup of hot chocolate while watching the dazzling lights display, which is choreographed to lively music. Chuy&apos;s Parade. Credit Kim Maguire Photography. Want to teach your kids about the importance of helping those less fortunate? 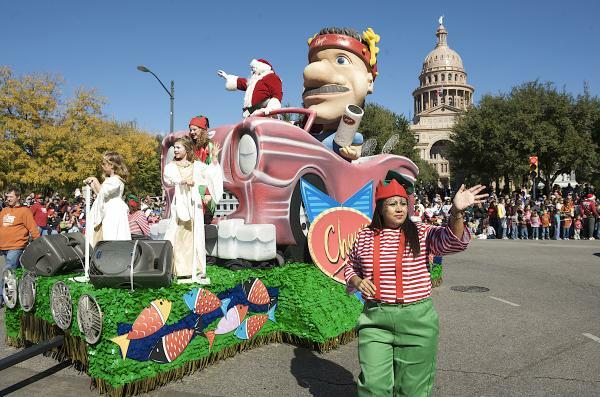 Head to Congress Avenue on November 18 for the annual Chuy’s Children Giving to Children Parade. Parade attendees are encouraged to bring a new, unwrapped toy (or several) to donate to Operation Blue Santa. Want to volunteer for a charity as a family? Mobile Loaves and Fishes, an organization that provides food, clothing and resources for the homeless, has volunteer opportunities available. Even more give back ideas are on Giving City’s website. Holiday Stroll. Courtesy of Downtown Austin Alliance, credit Brian Gray. Love to sing or just want to do something new this year? 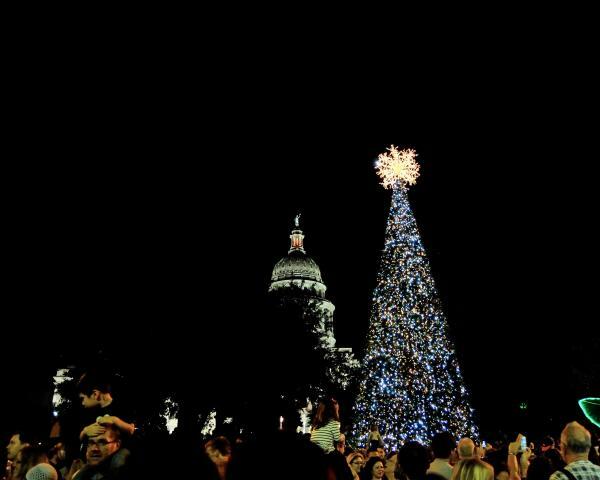 Join in the annual Holiday Sing-Along and Downtown Stroll on December 2, culminating in the lighting of the tree in front of the Texas State Capitol. Chorus Austin hosts the Sing-It-Yourself Messiah on December 16 at St. Matthew’s Episcopal Church and Conspirare invites you to Big Sing! Holiday 2017 on November 28. Courtesy of the Armadillo Christmas Bazaar. Austin and the surrounding area are filled with holiday markets and bazaars. Make sure to check out Armadillo Christmas Bazaar, Blue Genie Art Bazaar, and for Austin gifts, visit our Visitor Center. Find even more markets on Free Fun in Austin. The Nutcracker. Credit Tony Spielberg. Experience a holiday performance with your family. 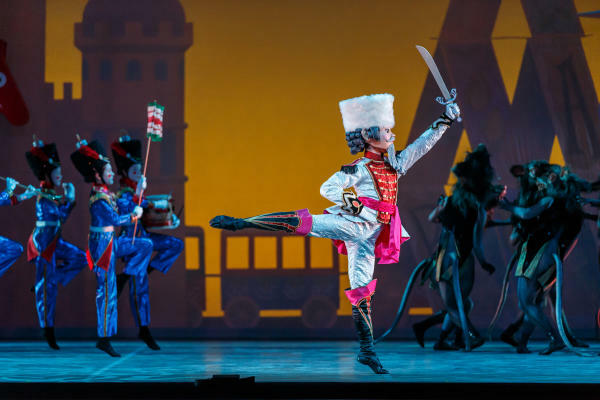 ZACH revives the classic A Christmas Carol and gives it a modern twist, November 22- December 31 and the Long Center for the Performing Arts showcases Rudolph the Red Nosed Reindeer: The Musical, Ballet Austin’s The Nutcracker, Conspirare Christmas, A Christmas Story: The Musical and more. Looking for more ideas? Explore VisitAustin.org/Austin-Holiday for more events, deals and hotel booking!